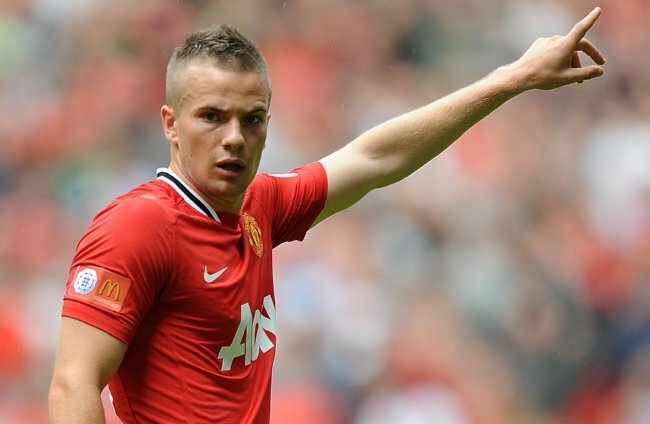 Seems like those 45 impressive minutes during the Community Shield yesterday were enough for Tom Cleverley to catch Fabio Capello’s eye, as the Manchester United midfielder has been brought into the England squad to play Holland in a friendly at Wembley on Wednesday – though it’s worth pointing out that Jack Wilshere and Michael Carrick have both dropped out through injury to free up some space. A starting berth is probably out of the question knowing Capello, but here’s hoping for a decent length cameo for a genuinely exciting player who now has a string of solid pre-season performances under his belt – same goes for young Welbeck there, though an ankle injury may yet prevent him playing any part in the proceedings. Robert Green, Joe Hart, David Stockdale, Leighton Baines, Gary Cahill, Ashley Cole, Rio Ferdinand, Phil Jagielka, Joleon Lescott, Micah Richards, John Terry, Kyle Walker, Gareth Barry, Tom Cleverley, Stewart Downing, Adam Johnson, Frank Lampard, James Milner, Scott Parker, Ashley Young, Andy Carroll, Peter Crouch, Wayne Rooney, Danny Welbeck. That he is, but this guy seemed decent in the final. Even Lamps is out now…could he start?